Space exploration games are much loved, especially the last few years where game development has allowed developers to go really far with how much they can add to a game in order to make it super interesting and diverse in how it explores the genre. 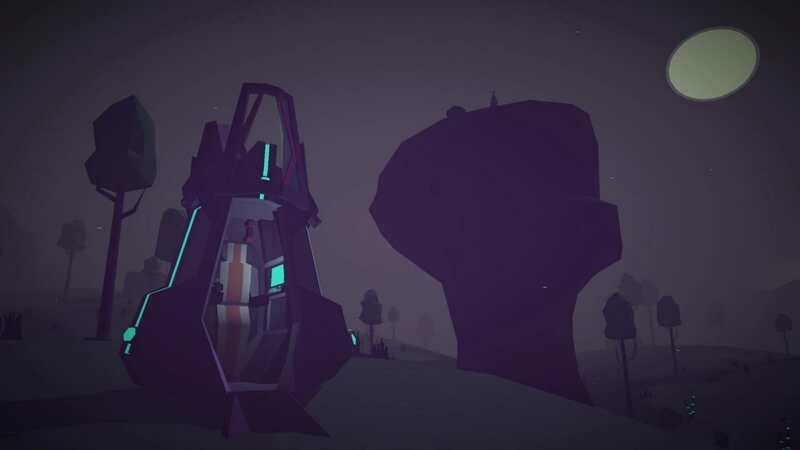 Morphite is one of those games be it that you already know something about this game or not, let’s start from where anyone would start once their get their hands on it. Yes, it is very much like No Man’s Sky, but not exactly the same. Why would I compare it to No Man’s Sky though? Well, that is because Morphite is humble and true to its purpose, unlike No Man’s Sky which ended up being a great game but nonetheless fell somewhat short on its promises (we already talked about this though in the past). Morphite now comes to deliver a much more fulfilling experience with a way more streamlined and linear progression system that allows for a more casual and relaxed “space exploration” gaming experience. That is if you are looking for a more on-rails space exploration experience though. But let’s go deeper into that aspect of the game. Step into the shoes of Myrah, an enthusiastic girl who wants to explore the universe and uncover all of its secrets in the process. The game starts by putting us into the story very nicely, with a little bit of an interaction between some of the main characters. Soon enough, we have our own ship, a weapon and a scanner. That is pretty much all you need in order to start exploring right? Well, a lot more is acquired through our journey and it all helps with our goals in the story. Some of the most important points where this game differs to standard space exploration games, is that it does not allow complete freedom in navigating your spaceship and the planets that you explore, although procedurally generated, are all walled areas that have very specific things to find. So basically, you cannot just wander off and start doing weird stuff instead of doing your main objective. You can indeed go on different planets later on in the game in order to just explore them (even though they might not be your goal’s destination), but you would most likely do that in order to farm some resources or something alike. The game builds very nicely on the story that it has and the characters in it are explored nicely as the game progresses. The plot is not something too amazing but most certainly something interesting and worth staying with the game in order to fully experience. The content of the game overall is plentiful and will not disappoint anyone spending enough time to finish the game. The fauna and flora is abundant and it will take a while before you stop seeing new things every time you visit a new planet. All of this, combined with the also abundant of tech, upgrades and other shenanigans help keep the player immersed, interested and most certainly busy with the game. One of the most important things I want to talk about regarding the game though, is its look. This specific genre calls for quite realistic graphics in most cases, since that way, the players are much more easily immersed into the weird yet still realistic environment that they are exploring. Morphite though, decides to go with a low-poly kind of style of graphics instead. This whole low-poly thing is sort of starting to get tiring, since not all developers “nail” it per say and end up with a cheap-lookin’ project of a game, but when done right, it can work wonders. The second case is true for Morphite’s case and it most certainly allows for a very alien-like experience. The colors in combination with the simple yet foreign-looking creatures of the game’s world put us in the seat of a space explorer that feels just like Myrah; astonished and excited about learning more about this world. The graphics are in most cases play-arounds of low-poly 3D models but certainly manage to do the job just right. Best points of the game for me were most certainly the story, the spaceship battles and the sense of freedom that the player is given inbetween missions. It most certainly allowed me to feel like an explorer instead of feeling like a hero in an on-rails campaign that does not allow me to look at the stars while trying to complete my next quest. You can find Morphite on Steam (and also coming for consoles) for the price of 7,49€ (discounted at 50% for the Winter Sales). Morphite is one of those less-known gems that you need to do yourself a favor and check out. It is a mistake to compare it to No Man’s Sky, since it ends up doing its own thing and it also does that very nicely. A somewhat on and off rails space exploration experience waiting to be picked up and enjoyed by anyone with a love for space and adventure on mysterious planets. – A bit aurally empty sometimes, but then again, that’s space right?